There are many different methods to treating problems like addiction and mental illness that can act as supplements to regular psychotherapy. Alternative types of therapy can allow people to explore various options that may work for them in reducing stress and coping with complicated emotions. Art therapy can be one of the most effective ways to help people process their feelings and find creative ways to express what they are going through. Many treatment centers will offer art therapy as an option for their patients because it has been shown to help improve a person’s physical, mental and emotional well-being. Art therapy is a way for the patient to use the creative process to help resolve their issues and gain insight into their own unconscious patterns. It also helps reduce stress, manage behaviors and feelings and improve self-esteem and awareness. Getting involved in art therapy does not mean you have to be a train or talented artist that is using specific skills. In art therapy, patients will be able to enjoy the benefits of exploring their creative side and finding unique ways to express themselves and communicate emotions that are complex and difficult to talk about. The act of creating can be healing and allows patients to develop more awareness of their deeper feelings that are far below the surface. Art therapy has its roots in psychotherapy more than traditional art training and teachers of art therapy are typically psychologists themselves. 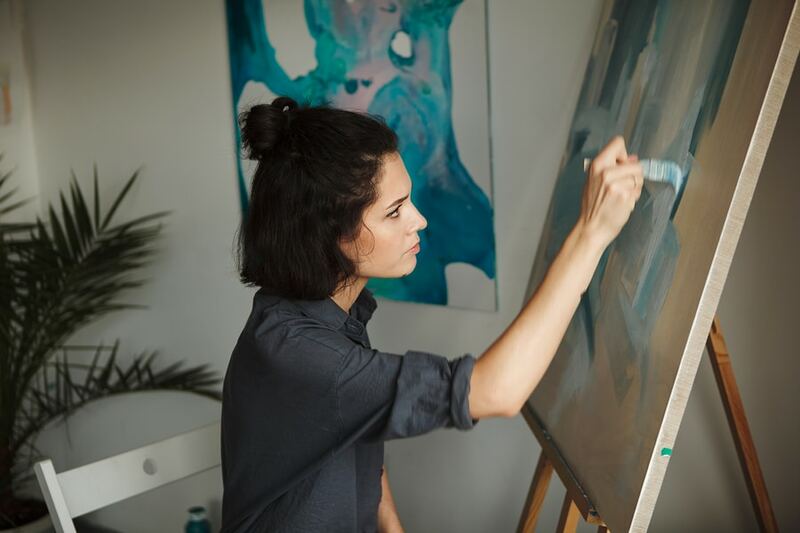 Art therapists are specially trained and certified in the field of art therapy because it is a very specific combination of art techniques combined with mental health treatment. Teachers of art therapy try to make a connection with students and personalize the class so that each person can work through their own individual issues through art. Patients involved in art therapy can use art as a way to access their subconscious mind and tap into their feelings in a way that can be difficult with simple talk therapy. The unconscious mind expresses itself through images, symbols and metaphors which are all key elements in artwork. Even though talking can be useful, art therapy helps people communicate their unconscious thoughts which can be especially cathartic. The most positive aspect of art therapy is that it gives patients a way to make their emotions visible so that they slowly become more self-aware. Conflicted and complex feelings can be brought together in one image so that they can make sense of a chaotic inner world. These images help patients identify patterns of behavior and thoughts that are holding them back in their life. Working on and creating art can also be a great way to help patients focus on the present moment and reduce stressful thoughts. Painting, drawing or sculpting can be activity of mindful awareness where you are no longer listening to repetitive thoughts but are connecting with deeper emotions. Art expression also helps patients regulate their emotions and build self-confidence by learning new responses and coping mechanisms for difficult feelings. Artistic expression can come in infinite forms and art therapy teachers may allow their students to explore various materials and methods to create art. Art therapy could include painting and expressing feelings through color and form, drawing and writing in an art journal, creating a collage through images that the patient identifies with, painting or drawing a dream or working on a group art project. Having different methods of expressing their emotions can help patients find the medium of art that they enjoy the most and allows them to feel the freedom to be creative. Art therapy is not only a very cathartic experience but it can also help patients find a new hobby that helps them cope with their feelings. After completing treatment they can continue to draw, paint and create their own forms of art to express themselves. Creative hobbies can make life more fulfilling and helps people communicate their inner thoughts with other people in their lives. People that create art are making lots of decisions about the images they produce, the colors they choose and what they want to communicate. It is a process that helps you become very self-aware and focused in a way that can give you a sense of purpose and confidence. Art can be both a very valuable therapy tool and a healthy hobby that will help you express yourself in different ways. Whatever personal problem you are dealing with whether it is an addiction, a mental illness, the loss of a loved one or anything that is affecting you emotionally then art therapy can be a good option for healing. If you are attending a treatment center for behavioral or mental health issues, find out if they offer art therapy.